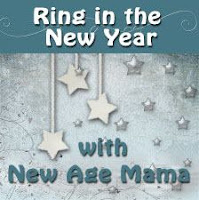 New Age Mama: Review + Giveaway! pHur Organic Disinfecting Water and Cleaner. Review + Giveaway! pHur Organic Disinfecting Water and Cleaner. pHur uses electro-oxygenating technology to transform our earth’s most natural solvent- water. At two precise pH levels, water takes on powerful, yet completely safe, cleaning and disinfecting properties. pHur’s revolutionary technology stabilizes water at these levels resulting in pHur™ Cleaning Water and pHur™ Disinfecting Water. Now, pHur is coming home. Starting in California, pHur™ Cleaning and Disinfecting Water can be shipped to doorsteps every 30 days, and in select counties, a certified pHur technician can electrostatically disinfect entire households. Both options give consumers the option to live naturally and live clean. The website is https://phurwater.com/ and it's the first cleaning agent of it's kind and perfect for all your cleaning needs! I was intrigued by pHur's cleaning system. I am always looking for ways to live a more natural life. The fact is, many of our daily cleaning products are hazardous to our health with their chemical ingredients. Inhaling these can potentially hurt us or those we love. With pHur, that worry is eliminated. Their three step system to a clean and disinfected home is simple and easy! 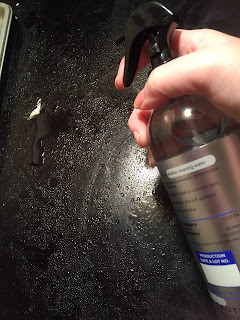 First you begin by using the pHur Cleaning Water to spray down any surface that needs to be refreshed. Included in your set are the spray attachments, as well as a durable and thick Greenspeed microfiber cloth. Afterward spraying the areas of focus, use your cloth to wipe down the surfaces. For more stubborn spills and messes, allow the water to soak for a minute and then wipe. That's what I found worked best for me. After you have completed step one, proceed to use your pHur Disinfecting Water. Despite other disinfectants, pHur allows you to spray and go about your day. Yup, that is it! There is no need to wipe puddles of chemical solutions. The bottle dispenses a nice light mist with each spray. Yet, it is still just as powerful, providing you with a 99.99% effective rate against bacteria and viruses. This product has been tested in labs, homes, hospitals and airports and has had a great response so far. It is said on the back to keep this product out of contact with children and domestic animals. Each batch of pHur Disinfecting Water is made fresh, so it is recommended that the product be used within 30 days of the date marked on the back of your bottle. As you can see, pHur Clean Water did a fantastic job removing grease and hardened food from my stove top. The microfiber cloth picked up everything right away. For the stuck on food, I sprayed a little extra water on it and scrubbed lightly. It worked great. After cleaning, you can choose to disinfect by spraying the pHur Disinfecting Water onto your surfaces. The mist is faint, so you will not see any mess left over to wipe away. Overall, I was very impressed by the pHur set. I love the fact it is natural and quick to use. It makes cleaning much less time consuming and safer for all. I am blown away by the science behind this system, and am excited to see many people switching to this incredible line. 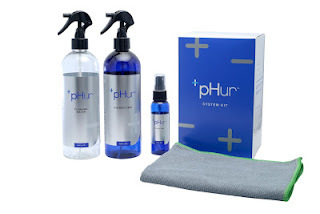 Thanks to pHur, we are giving away one pHur Organic Disinfecting Water and Cleaner set to a reader! Enter below for your chance to welcome this safer alternative to your home! 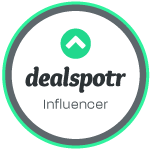 Thanks so much pHur for this awesome opportunity and for sharing this system with me too! I would love to use this to clean and disinfect my kitchen and bathroom! So cool! I would keep it by the kitchen sink to keep everything shiny and disinfected. I'd love the 2 pack on-the-go disinfectant. I would use these products to clean my bathroom shower area and also kitchen. I would use this to clean my bathroom! I'd like to use their Disinfectant on my kitchen sink. I would use to clean my bathroom and disinfect other areas of my home. I would love to use these products in the kitchen! I'm very picky about what products are used in the room where food is prepared. There are too many chemicals we can't avoid in this world; I try to avoid the ones I have to power to limit. I would definitely use these cleaning products in my bathroom and kitchen the most. They are the two messiest areas in the house. I'd use them for the kitchen and bath for a better clean! I would use them in my kitchen.